After the loss of my parents, I spent a long time clinging onto anything I thought would offer me some ‘normality’. But this approach didn’t work. The old normal was gone because they were gone. I was not the former ‘me’ and nor was I likely to be because loss had fundamentally changed me and life as I knew it. However, at the time, I was 25 and fought against this change far longer than I needed to. The thing is, life beyond loss isn’t the same as before. This can be a tough truth to swallow. We usually have to find a new way to live – and that can look like different things to different people. This is why we call it the “new normal” (by the way, I didn’t personally invent this phrase and I’m not sure who did). After the pain of loss, it’s possible that everything from our old habits to our relationships can change. Those changes include just about anything from being alone, finding new ways to celebrate special occasions, to suddenly needing more support or having to deal with additional responsibilities. As we adjust to these changes there may be lots of confusion because it becomes apparent that what is lost, cannot be regained. We are essentially re-building our life, or at least part of our life, to establish some normality again. For some, the new normal might include going back to work or school, moving or even being forced to sell a home. For me, it involved changing jobs and looking for new ways to meet new people. The driver for me, was combating my loneliness. After loss, the new normal is inevitable and as difficult as this can be to accept, it’s a necessary part of the healing journey. But the good news is, if we approach the changes positively with a sense of curiosity, we are more likely to help ourselves out of the potential black hole grief can send in. Even though our challenges are present, the new normal is waiting to be created. So the best way to move forward is to face the sticking points but armed with a combination of wonderful (happy) memories and some self-assurance that it’s all going to be ok. It wouldn’t hurt to throw in a dollop of support for good measure too. The new normal doesn’t happen overnight either. It’s a gradual, one foot in front of the other, type of approach. Forget the whole staircase, just focus on the next step. As you move forward, you will find yourself experiencing moments of joy. Trust that what you create and recognise will go a long way towards building your emotional resilience for life. 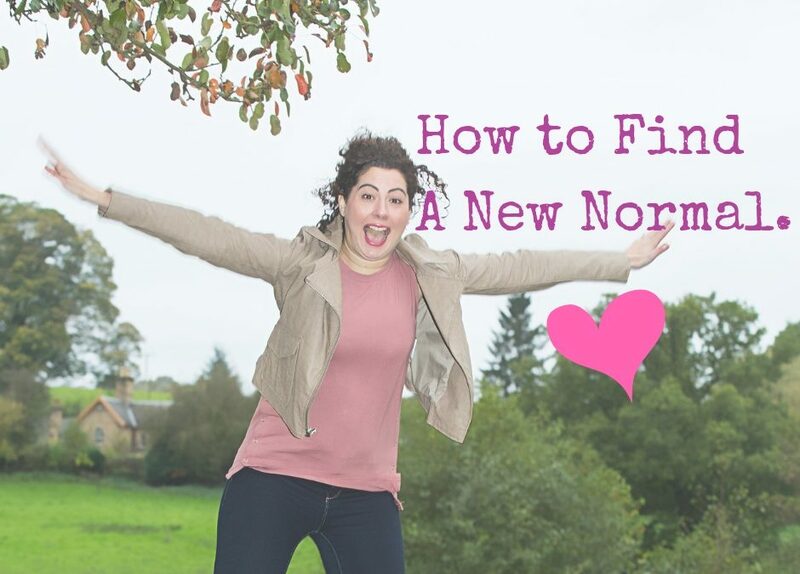 Here’s a few ideas on how to create your new normal. Take what you like, leave what you don’t. #1 Create new routines. You can develop new ways of doing things – your way. Remember, you can still have fun and love the life you had before loss and the people who were in it. But love the changes that are happening too. #2 Embrace changing relationships. With change, new relationships may emerge and old ones may fall away. You might find that you are open to living in a new place or feel that you want to share your life with new people or others who have gone through similar experiences. #3 Plan new activities. You may find the things you used to enjoy are no longer the same or you’ve lost your passion. After a while, you may experiment with new activities, plan a mini adventure and give yourself something to look forward to. #4 Get to know yourself. Spend some time just ‘being’. Be with yourself and take a break from ‘doing’. Getting to know the person you are going into after loss is a good way to heal. Have a look at my free course, ‘Finding Your Way‘, which will take you through a few videos and worksheets so that you may reconnect with yourself. Eventually, a new normal will emerge and you may be a different version of yourself too. As this starts to take shape, remember it’s a good thing. You will still be acquainted with your old normal but the new normal will include hope, peace, love and even laughter again. It can and will happen in your own time. Really useful to help my bereaved clients, Thankyou. Julie you’re most welcome. So pleased! 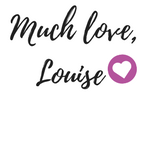 I’m glad that question helped you Fiona – the power of coaching!